5. In the Email field, enter your full email address. 6. Enter your password as the Password. 7. Press Next at the top of your screen. 8. 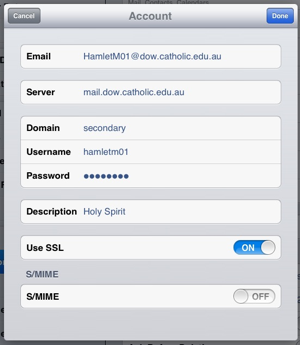 Enter mail.dow.catholic.edu.au in the Server field. 9. Put secondary in the Domain field.